Tahoma Audubon offers a variety of field trips each month, including bird, plant, and nature walks. Trips are open to people of all ages, including families. Most field trips are free. Please share gas costs when carpooling, which is always encouraged! For the most current listing of recurring and one-time field trips, see here. You can also see the field trips page of our latest Towhee newsletter. 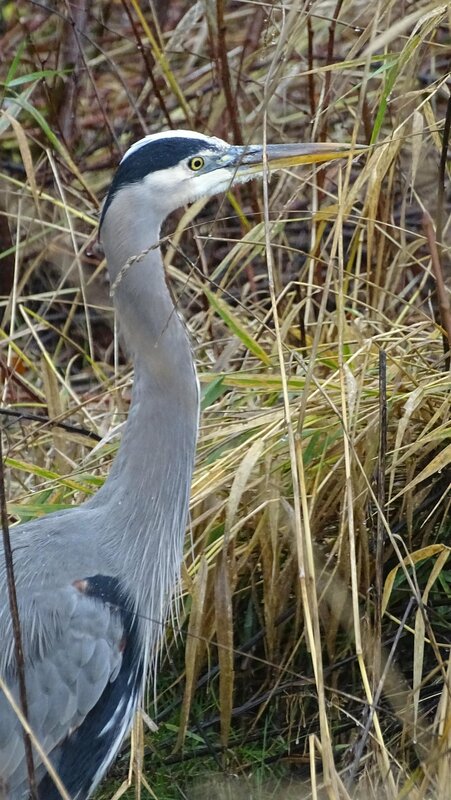 A Great Blue Heron at Billy Frank Jr. Nisqually National Wildlife Refuge. Guided Bird Walk at Billy Frank Jr. Nisqually National Wildlife Refuge: Every Wednesday morning. Guided Beginning Bird Walk at Adriana Hess Audubon Center: Second Monday of each month, beginning at 10 a.m. every month. Canceled in poor weather (heavy rain). Great for beginners; you can even borrow our binoculars! Second Sundays at Morse Wildlife Preserve in Graham. April through October, one Sunday a month from 9 a.m. - 3 p.m., arrive by 2 p.m.
Fort Steilacoom Park bird walk: 8 a.m. on the first Tuesday of each month. Birding at Eagle's Pride Golf Course on JBLM: Third Thursday of each month. No pass required! Point Ruston Coffee and Bird Class: 9 a.m. - 10:30 a.m., every first Saturday of the month, November to May), meet at Point Ruston (details in field trip listings for each date). Where: Titlow Beach Park - meet by the spray park! Do you have an extra, unused or old pair of (working) binoculars? 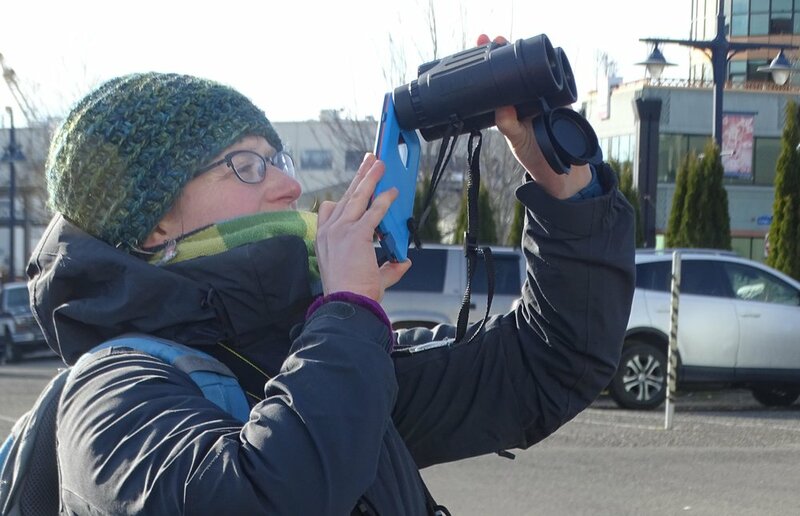 Tahoma Audubon will happily take those neglected and unwanted binoculars of your hands! We will let Audubon Center visitors borrow the binoculars during guided walks introduce birdwatching to the next generation and those just getting started. Drop them off at the center or bring to a program or arrange a time to drop them off. THANK YOU! Photography by Tahoma Audubon Society.